When these toybox friends roll out of the bed, they get up to lots of mischief. 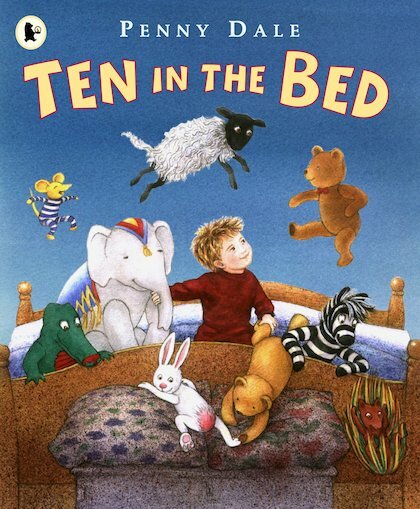 A counting rhyme with heaps of favourite toys and the loveliest pictures. What do you say? Roll over! Yes: it’s a magical retelling of a classic sing-along rhyme. A little boy is sharing his bed with his cuddly toys. (So many they can’t all fit in.) But when these furry friends roll over and fall out, they don’t just lie there quietly. Check the pictures: they’re busy getting up to lots of cheeky pranks.